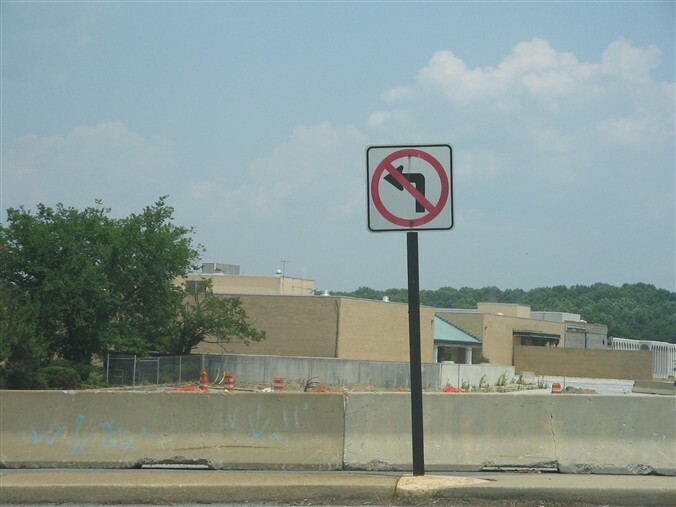 When I was down in Washington, DC over the fourth of July weekend, I swung by the now-closed Landover Mall in Landover, once the largest mall in Maryland’s large, sprawling Prince George’s County. I’d known the mall was troubled (and possibly dead), but I found that I unfortunately missed the boat on ever getting inside. I do, however, think that my trip was relatively well-timed because I was able to get this set of shots of the half-demolished rubble. While peeling back the skin of the building, the excavation revealed some really neat artifacts–most notably, the fully-intact, formerly interior-facing “Garfinckel’s” sign from an anchor store that closed in 1990 and was never replaced! The Landover Mall was built in 1972 and owned and operated by Lerner Enterprises, the owner of several popular mall-based retail chains. The mall was initially very successful due to its strategic location at the eastern edge of the Washington, DC beltway, and sported Hecht’s, Woodward & Lothrop, Sears, and Garfinckel’s as anchor stores. Even though the Washington, DC area is pretty heavily-malled, the Landover Mall’s location still seems strong, especially given that other nearby malls (such as the Iverson Mall, the Forest Village Park Mall, or the also-shuttered Capital Plaza Mall) are much smaller. 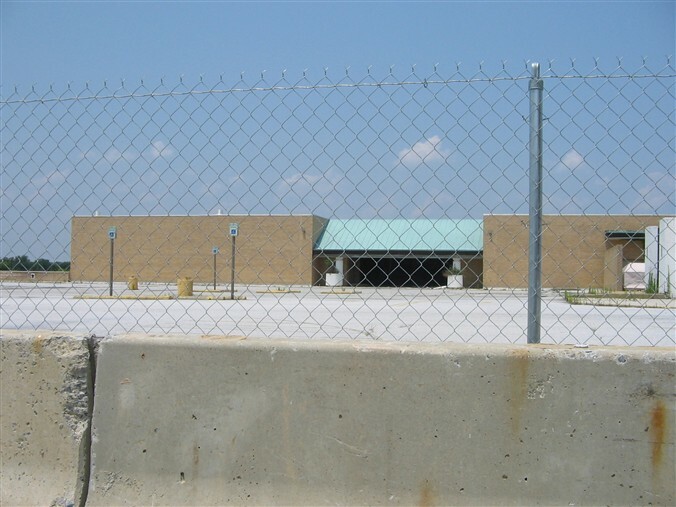 The mall’s decline began in the late 1980s, in a time when concerns were growing about the safety of the area and the development of newer centers further out in suburbia was booming. Lerner Enterprises’ relatively disengaged management style didn’t seem to help either. Garfinckel’s went out bankrupt in 1990, Woodward & Lothrop closed their store five years later. JCPenney briefly replaced them in 1998, but closed their store just three years later when they were unable to stem the tide of the mall’s decline. Hecht’s also fled the mall upon the opening of the outdoor Bowie Town Center in 2001, leaving Sears as the lone anchor store at the mall. 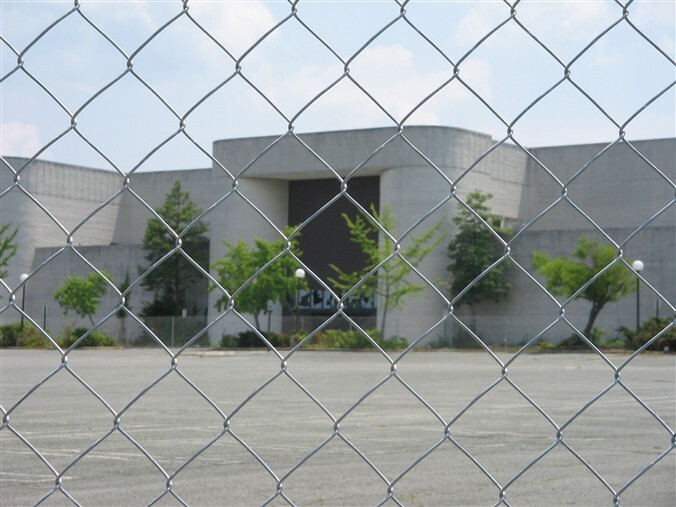 The mall was finally shuttered in 2002, although Sears has persevered and was even still upon when we visited. 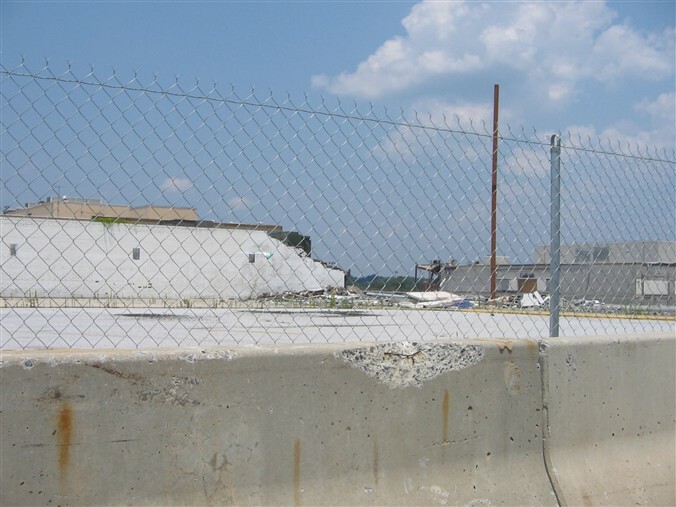 All of the outdoor, rubble photos on this page were taken by us on July 1, 2006, with the exception of the following two great shots taken of the mall interior in 2002, and the above image of the mall’s pylon lit up at night. These were graciously loaned to us by our friend Gary at the DC Grocery MSN Group. These photos are copyrighted (and not mine), so don’t steal ’em and make me look like a jerk. They also have MANY more available on their site if you want to dig in deeper! How sad! It looked awesome inside. I find it funny that Sears always perseveres. I have family in PG county, and they have ALWAYS talked about how lousy the shopping is there compared to Montgomery County and the Virginia suburbs. My uncle talks about what a great mall this was back in the 80’s and how management pretty much killed the vitality of the mall. Even though there are a lot of affluent African Americans in the area, the closer you are to the District, the worse the crime is. It seems that the Boulevard at Capital Centre (where the Capital Centre Arena used to be) and Bowie Town Center, and the upcoming National Harbor project seem to be the steps in the right direction for PG County’s image in the DC area. They ought to take a lesson from DeKalb County, GA, which also has an affluent Af-Am population and manages to have thriving shopping such as Mall at Stonecrest. Even South DeKalb has managed to somewhat thrive even though that mall should have died long ago. The anchor with the green roof was Woodward & Lothrop, while the rounded gray anchor was Hecht’s. When on that side of the beltway, I used to stop in occasionally for pretzel stix at Hot Sam pretzels. Those were the only things I ever bought at Landover. In response to Leon, the mall did die from Management problems but what caused the majority of those problems was the area. I used to work there in ’93 and spent time there as a teen in the mid to late 80’s and I can tell you the surroundings didn’t help the mall one bit. The apartment complex directly across the street from the mall was a haven for drug users and sellers and eventually this would trickle down into the Mall’s domain. I believe it was in 86′ when a hostage incident took place in the parking lot. The result of a drug deal gone bad. In addition to that there were often muggings and robberies in the parking lots late at night. They could never keep the place adequately lit or safe enough. I remember they even had a couple of murders in the parking lots around Sears and Hechts. Cab drivers stabbed to death and robbed or shot to death and robbed on a few occassions. Add to that the notoreity of the mall’s Cinemas and the shoplifting, and the mall was doomed. Many stores ceased carrying high priced items that could be easily stolen and with the decline in quality came the shopping doldrums that eventually spelled closings or moves for alot of the stores. I remember the year I worked at the mall there were a couple of Jean (levis) thefts. The menswear dept was perfect for those hits as the mall entrance was right there for the robbers to use. There was even one day when a man robbed a cashier in the childrens dept. and supposedly he had a gun though he never clearly showed it. A quick dash out the door leading outside, (which was very nearby) and it was all over. As I remember the community didn’t really take steps to convince Lerner that they Mall should stay, pretty much until it was revealed that it was going to close and probably be demolished. Then alot of people felt like Lerner was closing “Their” mall unfairly. Maybe Lerner should have spent more money on securing and beautifying the mall, but there is no guarantee that with the unstable environs that these improvements would have made a difference I think Lerner may have just let the mall die as Landover suddenly became an albatross they just wanted to get rid of. I have no idea why Sears still remains open. This is even more puzzling given the fact that Sears (like Hechts) opened a store in the nearby Bowie Town Center. I’ve been around the area by Landover Mall, and to say it is Jacked the Hell up would be the understatement of the year. I know one of the reasons why PG County will never be as prosperous as MoCo or Fairfax County is because of the crime and the spillover of poor people who can no longer afford to live in the District, which is becoming more gentrified. My folks live in Oxon Hill, and they are always constantly talking about “those hoodlums coming over the [DC-MD} line” It really is a shame, and I hope there is some way there can be a turn for the better. 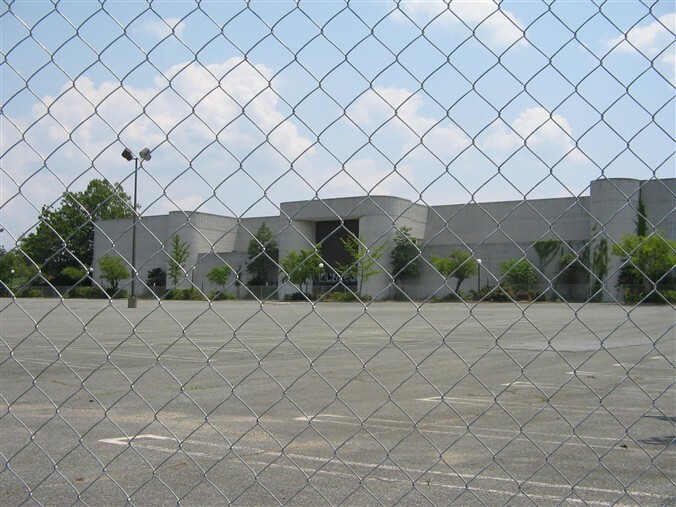 Plans were recently announced for what will replace the late Landover Mall. No big surprise here: another “lifestyle center”. 1 million sq. ft. of office space, 700,000 sq. ft. of retail and some 1100 residential units. At this time, two retail anchors have been announced, Wegmans and Costco. And right across the Beltway from the Boulevard at Captial Centre (stands on land of the former USAir Arena)…will be very interesting to see how it does, but with Wegman’s going in there, it’s sure to be successful. I’m glad to see that something positive is going to happen on that site. I’m looking forward to many more good things in Landover’s future. Iverson Mall was the first indoor, self-enclosed, climate controlled mall in the DC area, when it opened in September 1967. It is still open, and even if the, “name brand”, stores have long gone, the mall still enjoys a high tenant occupancy rate (same thing goes for the adjacent Marlow Heights Shopping Center). Many bigger, “better”, malls came along afterwards (like Landover Mall), but some have gone by the wayside while Iverson Mall still stands. PG County has a, “Branch Avenue Master Plan”, that includes a design to remodel Marlow Heights Shopping Center and Iverson Mall. Let’s hope the change is for the good, while not taking away the character of the community (and no jokes please–Marlow Heights and vicinity USED to be a really decent place to live). Actually, according to the website, the Town Center will not replace Landover, as the aerial view shows it being across from the mall. They can put in the best stores, but if you don’t have employees more customer focused, people will soon go back to places like Montgomery County to shop. I work less than a mile from the Boulevard at Capitol Centre, and amazingly, the one place with actually decent customer service is Chick-fil-A. The rest of the stores and restaurants there (as well as much of other places in PG County), seem to employ sullen individuals who treat you as if you should be glad someone is simply working there. I wish this new venue success, but there are obstacles to overcome involving the people you are going to hire and how they are going to treat customers. I worked at Landover Mall from the late 1980s through the very early 1990s in the Waldenbooks. It was my first job and I liked working there (33% discount on books was the main reason). 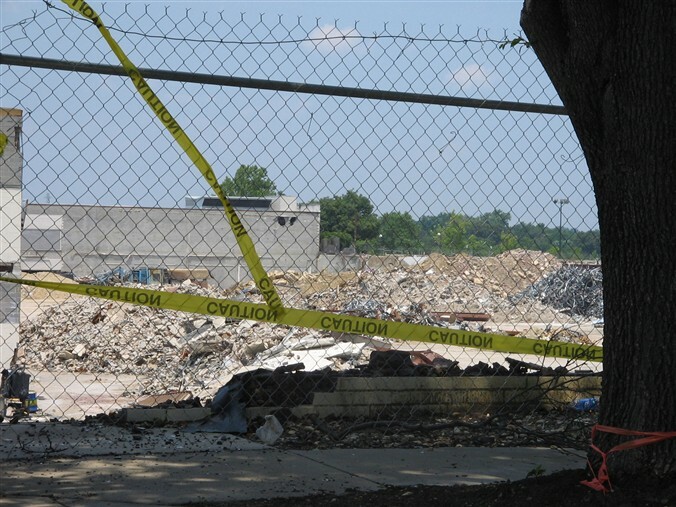 However, it is true that the neighborhood immediately around the mall deteriorated badly. Still, I was saddened when I moved back to the area and discovered that it had been almost completely torn down. I have been a resident of P.G. County for 46 years. I have witnessed first hand the police brutality that the county police have long been known for. I also have vivid memories of racial hatred which I can remember when forced integration of the schools was mandated in the seventies. I can tell you as a current resident of the county that things have always “been bad”. We don’t focus on problems because we have to move on and live our lives. When I visited my aunt at George’s Appliances in Landover mall when I was 11 yrs old w/ my 12 yo cousin we were mugged on the escalator be two older teenagers. Crime was always a problem at landover mall. I took guitar lessons at Briggs Music in Landover and used to hear Mr.and Mrs. Briggs complain of the shoplifting problem within the mall. He used to hang all the instruments behind the counter out of reach of customers. He had a problem w/ loitering in his store. I can remember a man telling Briggs he was going to return and kill him. When I was in elementary school the bused kids from Palmer Park brought alchohol to school in mason jars. Weed was being smoked at recess on the playground. You had to go to the bathroom w/ a partner because kids would jump you and take your lunch money. Things were awful in the 70’s and things are just as bad now. Bowie Music and Arts was broken into twice in 1 week police need to patrol Bowie Towne Center heavily at night due to the parking lot muggings and shoplifting. We’ve gotten older but things have remained the same. I remained in the area and opened my business Why? because I know the county. If I relocate I could find myself in a worse situation. My kids are transported across 2 counties to a private school. I appreciate my upbringing. This county in my opinion is reality.There is no perfect place. I worked at stand 2 Cap Centre through college. Sorry to see it close. Landover Mall I knew would be overrun by crime. Bowie Center is destined for the same. @JazzyJeff, I grew up in PG County and lived there for over 30 years. Bowie to be exact. We were bused to Largo and I have vivid memories of racial hatred…meaning against me because I was white. We used to go to Landover Mall in the 70’s because it was the closest mall and it was a great mall. Farrells was the best! 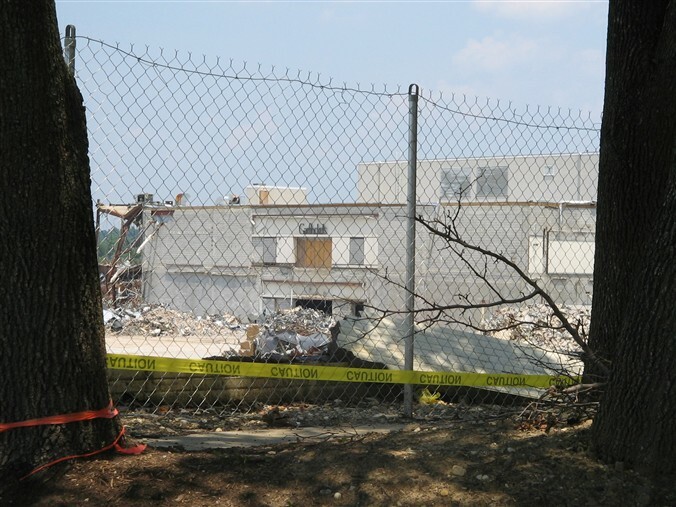 Once Annapolis mall was built that’s where we ended up going cause Landover mall was starting to crumble with crime. Bowie has seen better days but it will NEVER be like Landover. I moved so I didn’t have to send my kids to a private school. Crime is low and life is great where I am. @Jody, I remember those story trees! I’ve been telling friends for years that they existed but no one seems to remember but me. Glad to know I wasn”t crazy. In response to Leon, the mall did die from Management problems but what caused the majority of those problems was the area. I used to work there in ‘93 and spent time there as a teen in the mid to late 80’s and I can tell you the surroundings didn’t help the mall one bit. The apartment complex directly across the street from the mall was a haven for drug users and sellers and eventually this would trickle down into the Mall’s domain. I believe it was in 86′ when a hostage incident took place in the parking lot. The result of a drug deal gone bad. In addition to that there were often muggings and robberies in the parking lots late at night. They could never keep the place adequately lit or safe enough. I remember they even had a couple of murders in the parking lots around Sears and Hechts. Cab drivers stabbed to death and robbed or shot to death and robbed on a few occassions. Add to that the notoreity of the mall’s Cinemas and the shoplifting, and the mall was doomed. Many stores ceased carrying high priced items that could be easily stolen and with the decline in quality came the shopping doldrums that eventually spelled closings or moves for alot of the stores. I remember the year I worked at the mall there were a couple of Jean (levis) thefts. The menswear dept was perfect for those hits as the mall entrance was right there for the robbers to use. There was even one day when a man robbed a cashier in the childrens dept. and supposedly he had a gun though he never clearly showed it. A quick dash out the door leading outside, (which was very nearby) and it was all over. As I remember the community didn’t really take steps to convince Lerner that they Mall should stay, pretty much until it was revealed that it was going to close and probably be demolished. Then alot of people felt like Lerner was closing “Their” mall unfairly. Maybe Lerner should have spent more money on securing and beautifying the mall, but there is no guarantee that with the unstable environs that these improvements would have made a difference I think Lerner may have just let the mall die as Landover suddenly became an albatross they just wanted to get rid of. That is a great concept. I really think it will turn out to be a very crucial piece of information in the future for me. as of March 7, 2010. I remember being 11 years old when this Landover Mall opened up, we all were bused to Palmer Park, and I had a 6 grade teacher named Mr. Jews, he was the nicest teacher ever. Its too bad that people have to tear down the good stuff in the neighborhood, but sin is every where in this world. I hope they build something in its place, it was a beautiful Mall when I saw it as a young girl! 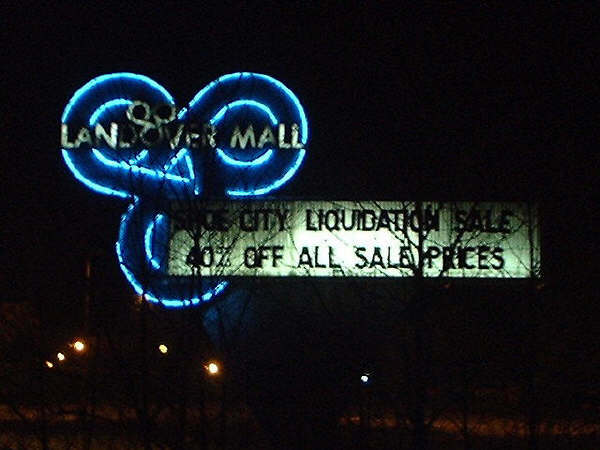 I remember visiting Landover Mall before its downfall, it was huge and had just about every mall retailer you can think of. I loved shopping at Woodie’s and I thought the mall and the area around it was very nice. But as is the case in D.C. white flight, bad management of the mall and crime is what brought down the mall. I think there might have been a murder there in the late 80’s early 90’s but I know the mall got a really bad rep and gangy thugs started hanging around. Whenever the demographics change in DC the shopping closes up and moves further out, it is an unfortunate fact of life, very sad, Malls like this one that are now gone remind me of the great luxury liners at the turn of the 20th century. Huge behemoths who are now all gone and just a memory. A few people have said this already but I’ll say it again, the mall closed because of crime, not because of bad management. Remember going there in the late 70s and early 80s, the demographics in PG County were completely different then. The areas around the mall and most of PG County became poorer as well as more crime-ridden. By the late 80s Landover had a bad rep. I’m surprised it even stayed open all the way to 2002. Safety and Security are managements responsibility. So in retrospect it was management’s fault. If they assessed the situation and know what the problem is….then it was their responsibility to fix it. They focused on the money making part (inside sales) and didn’t put enough money into the outside part (security)…..until it was too late and too out of hand. Management was more focused on making money……not spending it for longevity. I miss that mall greatly…..especially Sams Hot Pretzels…..I have yet to find a hot soft pretzel on a stick, drenched in melted cream cheese…….. I REMEMBERED THIS MALL VERY WELL ALSO. FOR ME SPEAKING ABOUT LANDOVER MALL WILL BE A DIFFERENT STORY. I WAS IN A WAY CALLED THE LANDOVER MALL KID. I WAS SORT OF RAISED THERE BY WORKERS IN DIFFERENT DEPARTMENT STORES SUCH AS LUSKINS, MERRY GO ROUND, PANTS PLUS, DOCTOR’S PET CENTER, FARRELLS ICE CREAM PARLOR, JORDAN KITT’S MUSIC AND A FEW MORE. I LIVED IN PALMER PARK AND THEN AROUND THE GLENARDEN AREA WHERE MY MOTHER AND STEP-FATHER DID NOT HAVE TIME TO FOCUS ON ME AND HAD TO GET HELP FROM PEOPLE AT LANDOVER. IF IT WAS NOT FOR THOSE PEOPLE THAT TOOK ME IN AS ONE OF THERE KIDS, RUNNING ERRORS, MAKING EXTRA MONEY, FEEDING ME WHEN HUNGRY AND PERFORMING IN THE MALL BY PLAYING THE ORGAN FOR JORDAN KITTS MUSIC WHICH I WAS ONE OF THEIR MAIN ATTRACTIONS PLAYING EITHER AT THE STORE OR PERFORMING IN THE CENTER OF THE MALL. THIS GOT ME A CHANCE ALSO TO ATTEND DUKE ELLINGTON SCHOOL OF PERFORMING ARTS AND TODAY I’M WORKING FOR THE WALT DISNEY COMPANY AND NOW WORKING ON ANOTHER CD AFTER A FEW YEARS BREAK. THANKS LANDOVER MALL! Juan T.
Yes I remember you!!! This is a wonderful testimony!!! Thanks for sharing! @jacque, was the name of the store possibly “Up Against the Wall”?? @jacque, my husband had the exact same question. I was researching his answer when I came across your message. After much thought, he finally remember that the store was Cavlier Men’s Store. We used to go Landover Mall on our dates during the late 70s. I used to really enjoy it as it was nice then and had a nice selection of quality stores. I hope this will be helpful to you both. @jacque, Are you talking about Cavaliers? I too remember the giant lighted Rubik’s Cube and the fountains they had at the mall. 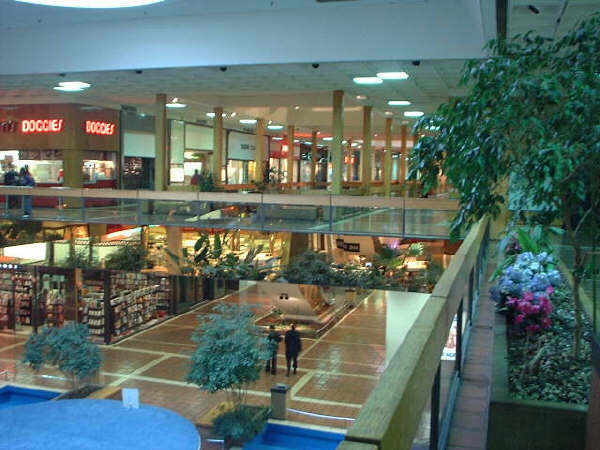 Landover Mall was the first place I had an Orange Julius. I was hooked at my first sip. Before I left that afternoon I had consumed three drinks. On the car ride home my mom had to pull over because I got sick. I was 11. 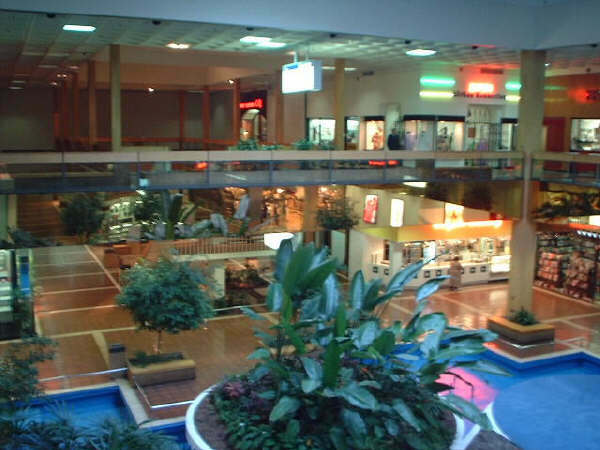 Prior to 1980 Landover Mall was one of the largest, if not the largest, freestanding indoor mall east of the Mississippi. Both Woodies and Garfinckel’s had anchor stores (for those outside DC think Saks Fifth Avenue or Neiman-Marcus) and in the 70’s the mall was considered upscale. In addition to the retail shops the mall also had a three story professional building attached on its back/east side. As I recall Planned Parenthood had an office there. Though I disagree that it was because Lerner was indifferent to the problems, James pretty much hit the nail on the head why people stopped going to the mall. Crime and personal safety became a very real concern after 1980. The real problem was (is?) all the garden apartments that sat right across the street and directly adjacent to the mall. With over 1800 units, most of which are Section 8 rent subsidized, problems are bound to spill over. 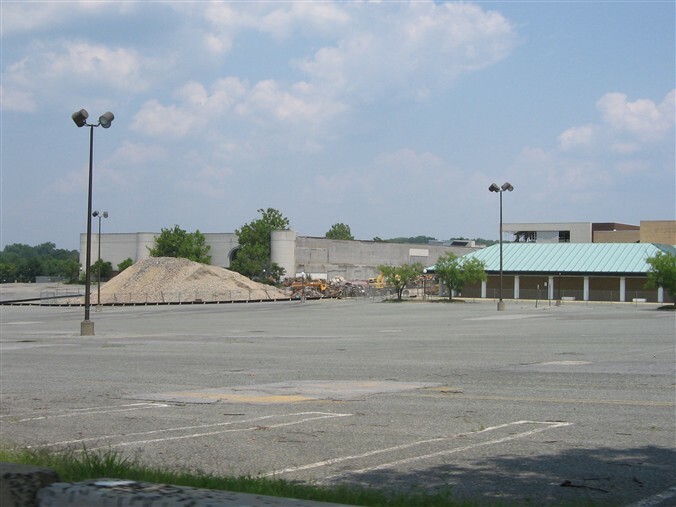 Sans the Sears, most of what was Landover Mall is now used as over-flow and employee parking for the Redskins stadium. 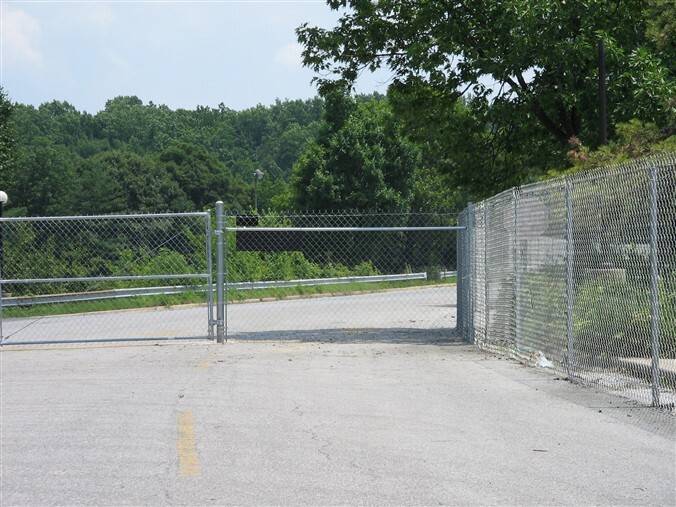 However even with uniformed guards and an 8′ high chain-link fence that surrounds the grounds, it’s still not safe to be there after dark. 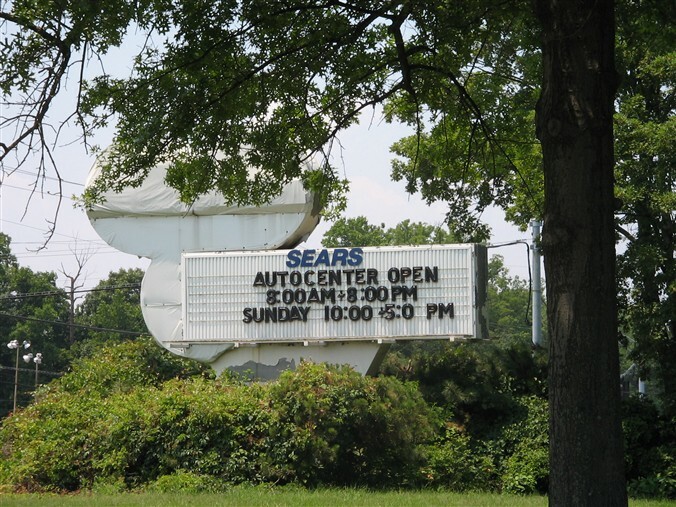 The Sears at Landover Mall is finally closing in March. 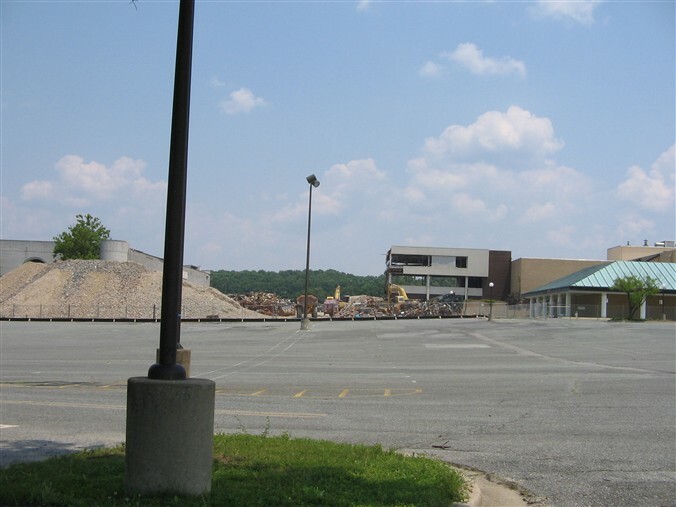 It’s literally the only thing left of the mall, the rest of it having been torn down several years ago, as noted above. Sears finally sold its store site to Lerner Enterprises, which owns the rest of the mall site. Those that point to the nearby garden apartment’s population, and the influx of residents from the District, are spot on. The Mall’s management had little, if any, to do with the slow, painful death of the Mall. I lived within 2 miles of the Mall from the mid-70’s to the mid-90’s and had a front-row seat to the Mall’s history. A perfect example was the Mall theater. It débuted to full houses and long waiting lines at the ticket window to see first-run movies. The changes in area population brought a surprisingly quick closure. What was at first a pleasant evening or weekend at a quality, comfortable, state-of-the-art theater quickly became a urine smelling den of drugs and loud-mouths that cut up seats and enjoyed shocking the audience with profanity. It closed. As people began to move their shopping venues to other malls, high-end stores such as Garfinkle’s, Hecht’s, and “Woodies” began to slowly change for the worse, -reducing quality clothing lines and inventories, closing “Woodies” restaurant, reducing staff as sales dwindled, etc. The once wall-wall customers, referred to as a sea of humanity by one of my friends, became roving bands of shoving, loud-mouthed teenagers, often carrying ear-shattering boom-boxes. @Bill, I so agree with you. All that, plus the opening of Annapolis Mall shut Landover Mall down. People that didn’t want to deal with all that crap went to Annapolis Mall or other malls.